As couples have become more mobile in recent years, destination weddings have greatly increased in popularity. Most Caribbean weddings come as customizable vacation packages with all details accounted for by the resort or planning service. As a result, you and your guests can spend time relaxing on the beach rather than scrambling through last-minute preparations. Though it would seem far more difficult to plan a wedding from thousands of miles away, the reality is that a wedding in St. Thomas or any other Caribbean locale is far less work (and oftentimes, cheaper!) than a traditional wedding. 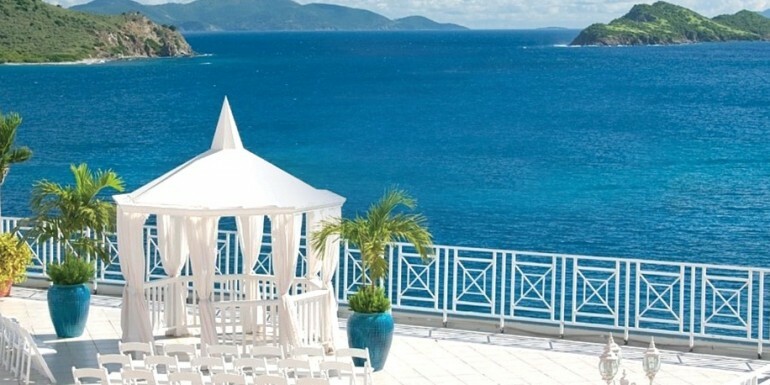 Follow these simple steps to plan the perfect St. Thomas wedding. Will family members be invited? If you’re not inviting anyone to your destination wedding, you’ll have to keep in mind that feelings can, and probably will, be hurt. If you do hope to have a gathering of friends and family to witness your beachfront nuptials, you’ll have to consider whether this trip is something they can afford. Not everyone can comfortably bear the cost of airfare, hotel, wedding gift and any meals not included in the destination wedding festivities. FreeDestinationWedding.com is a part of the Berwick Travel family, a leading leisure travel company providing luxurious Caribbean & Mexico all-inclusive trips since 2001. FreeDestinationWedding.com specializes in complimentary destination wedding packages to such destinations as Jamaica, Mexico, Punta Cana, St Thomas, Costa Rica, and more.